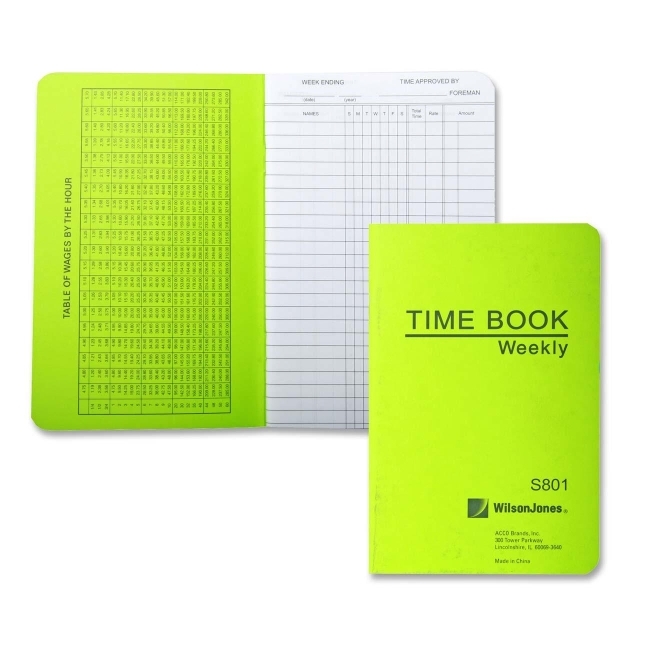 Pocket-size Time Book features a green pressboard cover cut flush. Includes 36 leaves of white writing paper. The one-page-per-week format has 23 lines to a page. The two-page-per-week spread has 21 lines to a page.